Start the development with your little men! 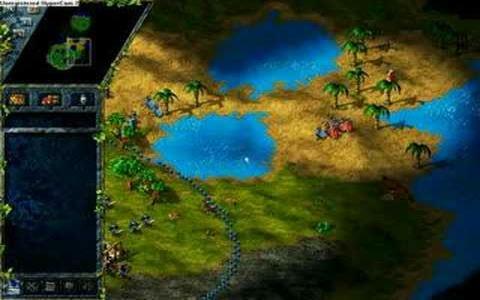 The Settlers 3 is a 1998 real-time strategy game, the third of the series, that continues the concept from the previous installments. Before engaging in battles, you have to supply your armies with weapons, food, and wine. The nations are Romans, Egyptians and Japanese, each with their own environment style, abundance, ups and downs. The Settlers 3 comes with a new graphics engine, with new catapults, ballistics and cannons, with a more detailed, realistic combat and tactics system. I am sure you won't resist the tentation to put your little men to work, in your way to wealth! You have to take care of some aspects in your land management, and your buildings location is one of them. The more disposed these constructions are, the easier the transportation will be. You can hire specialists, train spies, and the residentials are useful if you remain without means of work. If you know how to take advantage of your experts skills, you can obtain a progress surrounded by an unexpected success! If you have any doubts regarding the gameplay, you can always try the tutorial which is very well rendered, giving a thorough presentation about eveyrthing you should know. Now start the development and play The Settlers 3!